To create this stunning table runner, the artisan has printed the linen twice – once with a lighter tone and then again with a darker tone. 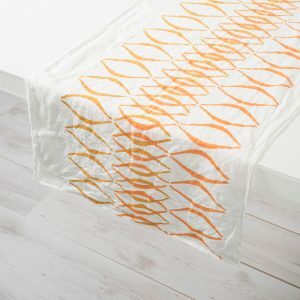 And by crossing the print in the middle section, they have added an intriguing complexity and movement to this initially simple design. 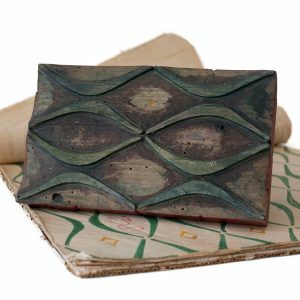 This printing method gives this runner its name – Ellisse incrociato means crossed ellipse in English. 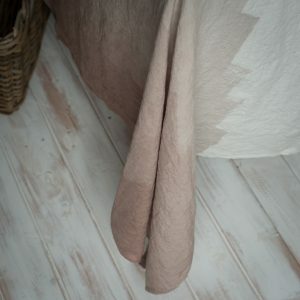 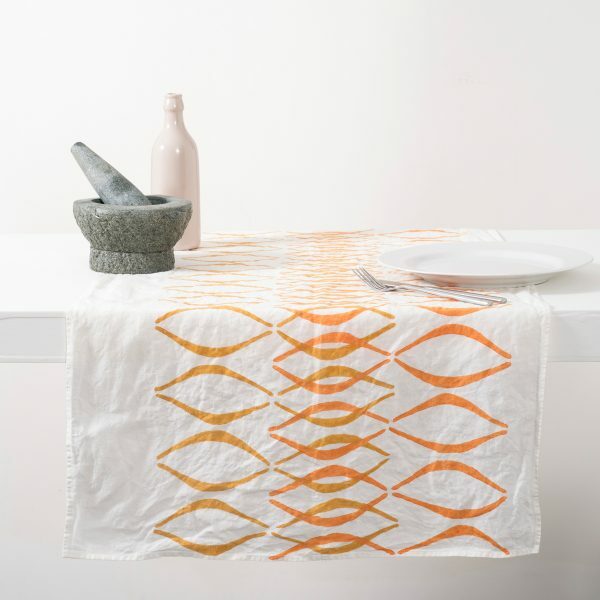 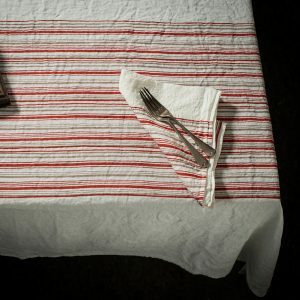 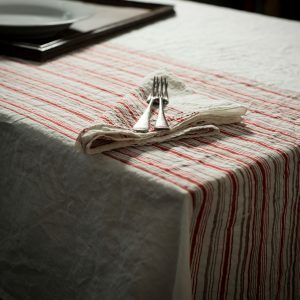 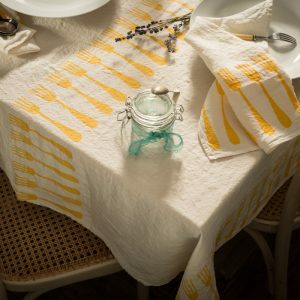 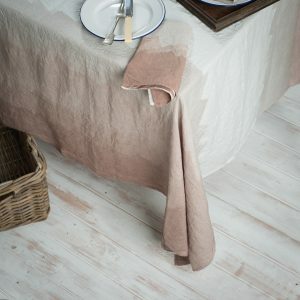 The wonderfully soft, organic, naturally crumpled linen used to create this table runner is the very highest quality, traditionally woven fabric. 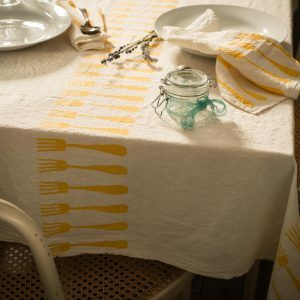 And the fact that each creation is individually printed by hand, using century-old techniques, means that the finished article is different every time – so truly unique. 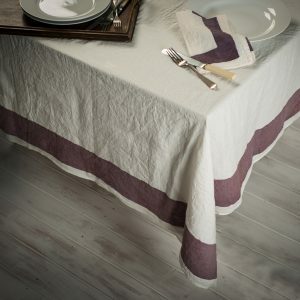 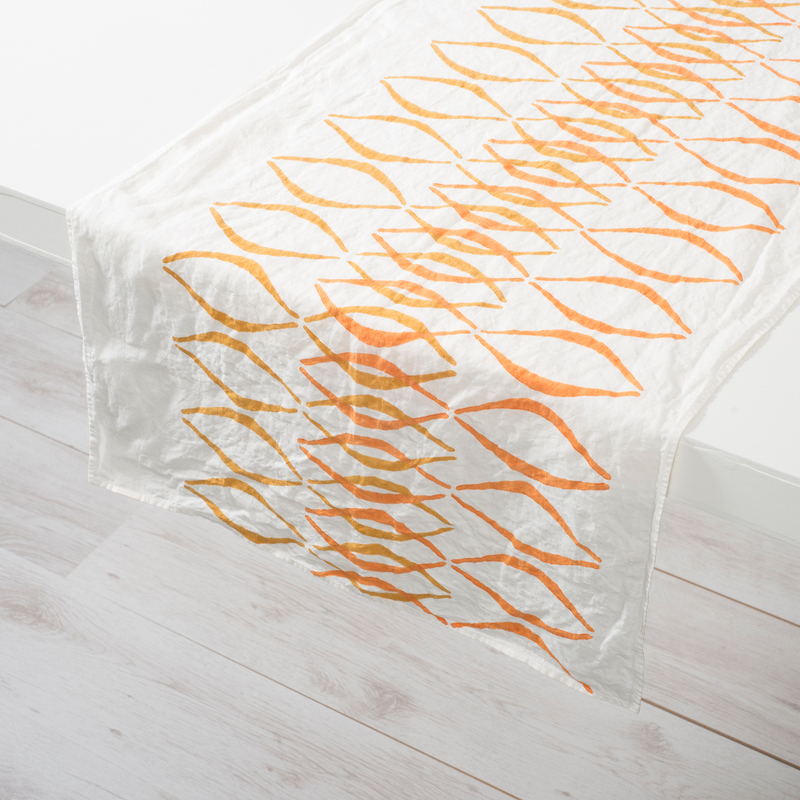 The result is an authentically Italian table runner that is traditional and classic – while also having a contemporary feel that is absolutely in keeping with any stylish modern day home.